Since its inception, Unite Community has had education at its core and as a key driving force for growth and activism. It was seen from the outset that education would enable and empower community members to develop their activism in relation to all areas of community action which were to be tackled. In relation to advocacy, street activism, campaigning, public speaking, design of materials and ability to use online methods of activism, education has assisted our members to strengthen their ability to undertake the issues faced in our communities and organise around those issues. A range of specific customised education courses were built in order to accommodate the needs of community activists and that range of courses is always changing, growing and developing to meet new challenges. 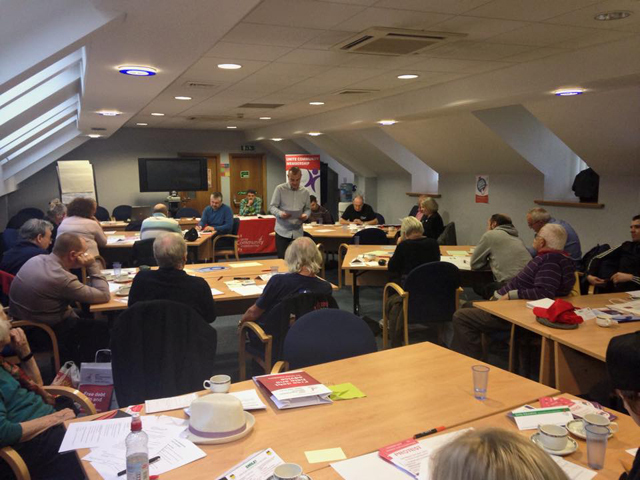 The education provision for Unite Community members has been sculpted with the aid of community coordinators working closely with the Unite National Education Department, with learning organisers and key tutors in our regions and nations and with our key activists. The full range of specific Unite Community courses are listed below, followed by short descriptions of each event. 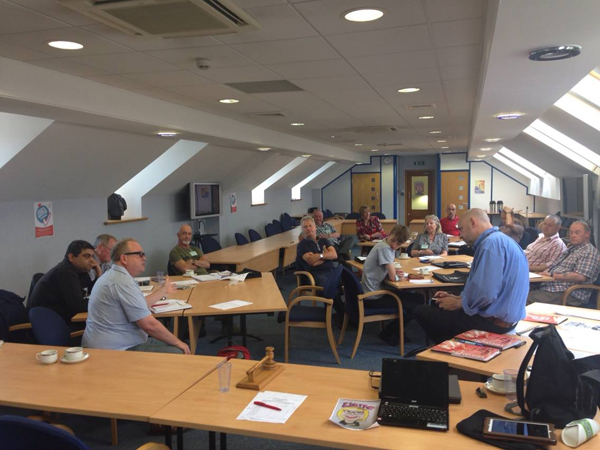 Introduction to Unite in the community, looking at the concept of community membership, how it fits into the core values and principles of Unite and links to Industrial activism. The course examines why we launched community membership to provide a voice for those who felt voiceless. We also look at some of the successes of community activism and examine how those wins were achieved. We look at campaigning and organising and examine the key three pillar vision of Unite around organising, politics and internationalism, embedded in the cement of equality. Attendees should acquire a detailed understanding of Unite in the community and broad knowledge of Unite as the largest trade union in Britain and Ireland. Our community initiative has been successful in recruiting almost 8700 members over the last two years however we need to look at growth in a more strategic manner and therefore this one day organising course has been designed to specifically look at community organising and how to recruit, activate and retain members. This is a campaigning course which concentrates on how to build effective campaigns, identifying issues, testing those issues, and building wider support. The course looks at existing campaigns analyses a strategic approach to campaigning, considers campaign tactics and is largely skills based. 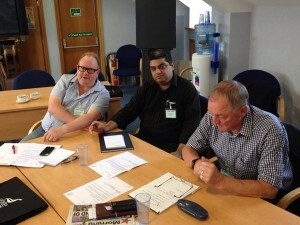 Attendees should develop confidence in their ability to organise and run campaigns within their community. This course is delivered over two days which would normally be a few days apart. Day one will concentrate on the theory of public speaking and address some of the anxieties people encounter when attempting to speak in public. The course uses video footage to illustrate the tips and techniques which are covered. Day two concentrates on the practice of speaking in public and the days in between are used to aid construction of a speech which is delivered on day two with positive critique from peers and the tutor. There is an opportunity if attendees wish, for the final speeches to be filmed. Attendees should feel more confident in the art of construction and delivery of speeches in public by the end of this course. This course was inspired by community activists who wanted to hone in on their skills in debating. The course looks at debating skills and how to influence through argument. The course looks at a range of techniques in debate and has cross over skills to negotiation and public speaking. Attendees should probably have already attended the public speaking course or at least be confident public speakers. Attendees should feel more confident in engaging in debate. This course is developed to equip people with new skills to develop social media profiles for their campaigns, in order to augment and amplify those campaigns. The emphasis is on building alliances through social media and widening their reach. The course will also examine setting up simple blogsites for branch organisation and exploring the positive aspects of social media for linking our industrial, political and community strands. This course is designed to look at the quality of our communications in particular focussing on posters, leaflets and electronic communications used in a community setting. It examines drip feed campaigns and looks at techniques which can be used to highlight events and boost attendance. This course is designed to tackle the issue of street campaigning, whether door to door, street stalls or surveys. 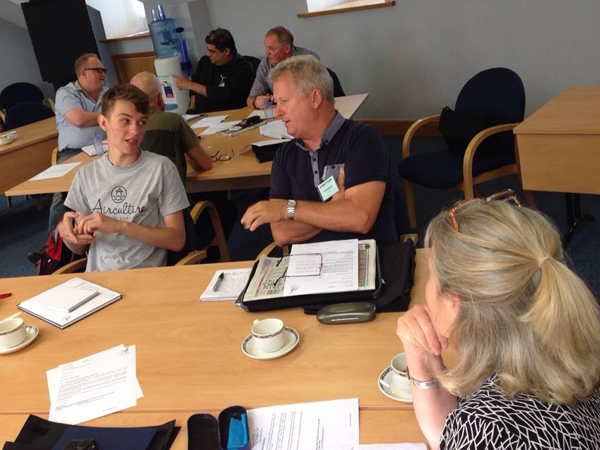 The course looks at and develops the skills of engaging with people in their own environment and encouraging them to share issues with a view to recruiting them into campaigns and membership of Unite Community. The first day is focussed on the theoretical side of street campaigning, the second day, a few weeks later focusses on the practicalities and gets activists out on the streets actually campaigning and engaging with the public, the intervening weeks concentrate on building for day two with activists working in teams to build for day two. Contact john.coan@unitetheunion.org to book you class! The situation facing many young workers is dire. Despite Tory millionaire ministers and rabid right-wing tabloids urging them to ‘Get a job!’ there are not enough to go round. From July to September 2014, nearly three quarters of a million young people aged 16-24 were unemployed, a percentage rate of 16.2 per cent. For those lucky enough to find work the happiness can be short-lived. Zero hour casual contracts have multiplied, the minimum wage has become the maximum and anyone standing up for their rights can quickly find themselves back out of work and facing being forced on to workfare programmes. Like every other worker, young workers can only end their exploitation by being collectively organised within a trade union. Problem is that at school there’s no such thing as trade union education. Consequently, when young people join the world of work most have no understanding of why joining a trade union could be the best thing they can ever do. Little wonder that just seven per cent of workers aged 16-24 belong to a trade union. 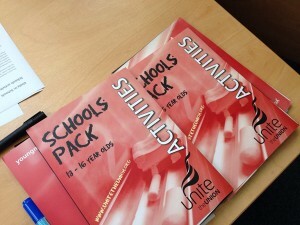 Determined to end this sorry state of affairs has led to the development of the Unite in Schools programme. This has seen Unite community co-ordinators working with regional education officers to identify trade unionists to be trained as schools speakers with skills to engage with pupils aged 14-18. The aim of each organised session with young people is to encourage student discussion and active learning. The materials available to help with this are short films, lesson plans and info graphics, a brief history of trade unions and their activities and seven interactive exercises. The response by schools and pupils to sessions already organised has been healthy. In South Yorkshire, Unite has developed links with Kirk Balk Academy in Hoyland, just outside Barnsley. On Monday December 15, full-time student and Unite community member Harry Rollin, aged 18, assisted Andy Pearson, Unite regional education officer, with a one-hour session for 14-15 year olds and amongst whom only a handful admitted knowing anything about unions at the start. That had changed quite dramatically after 60 minutes. “I had sort of heard about unions from press reports about strikes,” said Emily Lovell. Fellow student Shannon Powell agreed. “The session was interesting, I liked the video’s and I learnt a lot about unions and why you might need them at work,” she said. Contact your regional Unite Community co-ordinator if you’d like to get involved with the Unite in Schools programme. If you are a school governor then why not consider getting your school involved? Unite recognises that young people often have little or no knowledge of trade unions. Reports show that even when at work, they invariably believe that there is no redress when they are treated badly. This policy has been developed to support the Unite agenda of raising awareness on the role and value of trade unions to young people at an early age. By speaking directly to young people at school, we have an opportunity to show them that by collective action, trade unions can empower workers to improve their working lives. Reaching out to young people at secondary school is particularly important as this is a time when we can influence their view on trade unions before they enter the world of work and when they are undertaking work experience. Unite Community have been given the task of taking trade union education into our secondary schools. We have already trained 20 Unite/Unite Community members to deliver these sessions in the North East Yorkshire and Humberside regions. If you have any contacts with school governors or N.U.T representatives who you think may be interested in this project please contact Joe Rollin with their contact details. Here is what the Daily Mail think of our efforts to teach young people their rights at work: click here. Here are some of the materials we have developed.